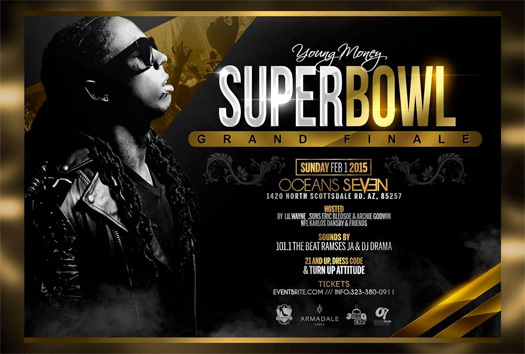 The following night after Nicki Minaj’s party at Ocean 7, Lil Wayne will also be hosting a Super Bowl Grand Finale party at the same nightclub in Scottsdale, Arizona on February 1st with music being played by DJ Drama. Weezy F Baby will be arriving to the club from around 10:00PM and will be leaving at around 2:00AM on Monday, February 2nd. If you want to attend the party, click here to purchase your tickets online. There are various ticket options to buy, such as General Admission Presale for $100.00, VIP Presale for $200.00, RSVP Booths for $5,000.00, Booths On Floor for $7,500.00, and Private Stage Area Booths for $10,000.00! I previously posted 10 photos earlier this week, now here are 10 more pics and a video of Lil Wayne making an in-store appearance at Macy’s inside the Lakeside Shopping Center on February 1st in Metarie, Louisiana. 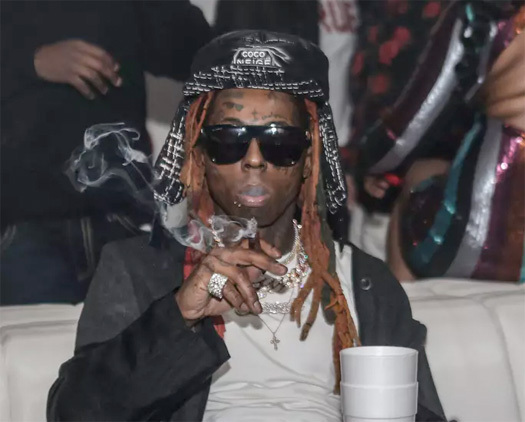 A follower of LilWayneHQ, who goes by the name of Wes LeBlanc, attended the event to meet Weezy F Baby and receive a signed photo from him for supporting his TRUKFIT clothing line. You can watch some footage of Tunechi‘s entrance and Wes meeting Wayne at Macy’s in the video above, as well as check out a few photos he took below! 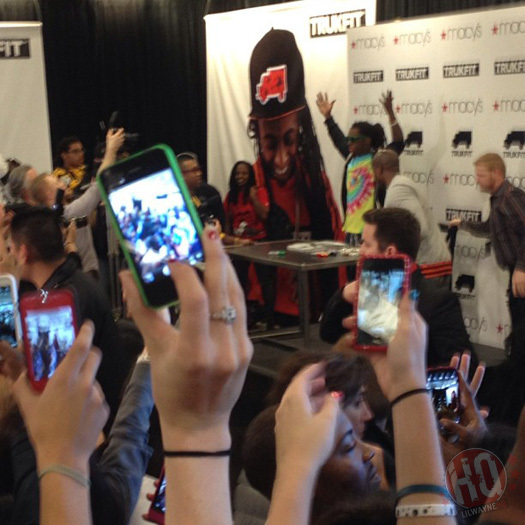 On February 1st, Lil Wayne made an in-store appearance at Macy’s inside Lakeside Shopping Center on 3301 Veterans Memorial Boulevard in Metarie, Louisiana. 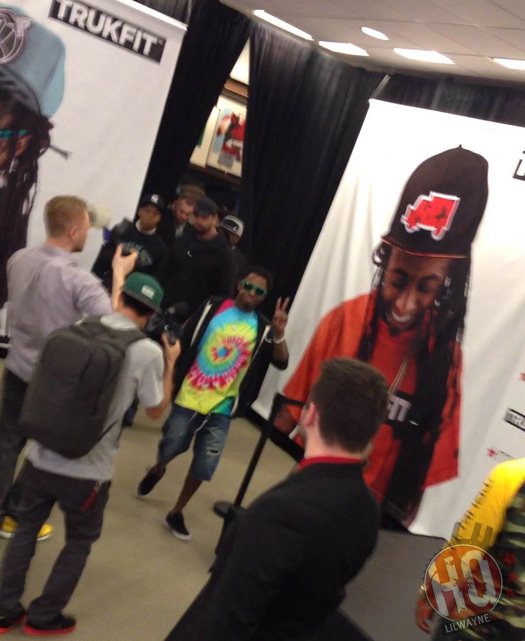 Weezy F Baby attended the store with his best friend and manager Cortez Bryant to promote his TRUKFIT clothing line. Tune also took part in an interview and handed out signed photos of himself to 100 fans that had spent at least $100 on his clothing brand. You can view more photos of Wayne at the event below. Earlier today, Lil Wayne chopped it up with to Alison Fensterstock from NOLA.com at the Macy’s store in Lakeside Shopping Center on 3301 Veterans Memorial Boulevard in Metarie, Louisiana. They discussed where Tunechi bought his clothes from when he was a child, a TRUKFIT clothing line for women, what he will be wearing at GQ magazine’s 2013 Super Bowl party, why he will not be rocking a suit at the event, a Hot Boys reunion (says he is ready to go), Turk being released from jail, and more. You can read a few excerpts from the rest of Alison‘s interview with Weezy F Baby below (which did not make the video) were they talked about the artwork for I Am Not A Human Being II that Kanye West designed, the album itself, watching skate videos, and listening to Too $hort all day. Lil Wayne will be making an in-store appearance at the Macy’s store located in Lakeside Shopping Center on 3301 Veterans Memorial Boulevard in Metarie, Louisiana on February 1st. 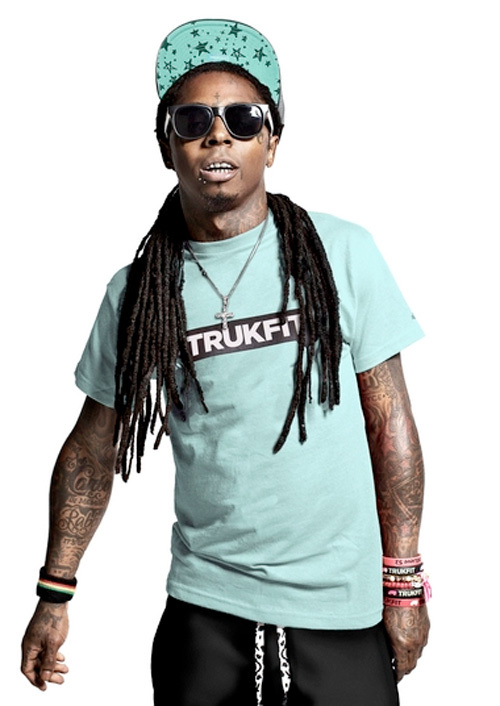 Just like he did with Macy’s in Los Angeles and Dillard’s in Louisville, Weezy F Baby will be at the store at 3:30 to promote his TRUKFIT clothing line. He will also be handing out autographed photos of himself to the first 100 fans that spend at least $100 on his branded apparel at the event.